June seemed to whip by accompanied by quite a diverse set of books. 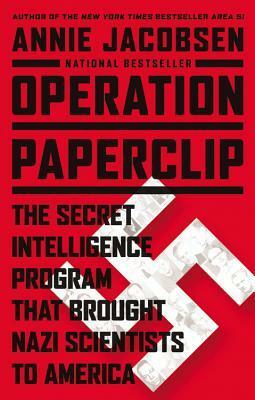 The standout read was Operation Paperclip by Annie Jacobsen, a fascinating and deeply troubling book that raised all kinds of moral and ethical questions. A nice selection of books have arrived to replenish the to-be-read pile. Looking forward to reading these over the coming weeks. Hopefully they'll live up to the praise of those that recommended them to me. I do like the feeling of receiving and flicking through new books! 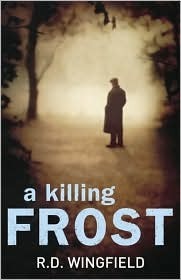 I've been putting off reading A Killing Frost by R.D. Wingfield for some time. It's the last book in a set of six (Wingfield died shortly before it was published) and I was reluctant to reach the end of what is one of my favourite series. 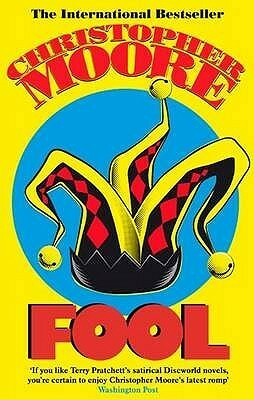 Frost is a great character - much more coarse and politically incorrect than the TV version - and the books are very well written, rattling along at quick pace, each containing several plot lines as Frost tries to juggle multiple cases and deal with internal police politics. 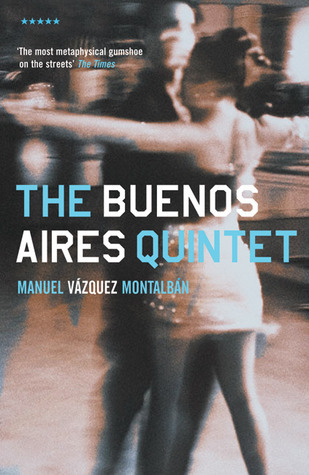 The staging, dialogue and interactions between characters are particularly strong, not unsurprisingly given Wingfield wrote over forty plays for radio. I finally read the book last week and despite telling myself that I would take my time and savour it, I shot through it in a couple of days, captivated by the story. I'll post a review shortly. A series I can see myself re-reading in a few years time. I'm most of the way through Operation Paperclip by Annie Jacobsen, at present. It concerns the recruitment of Nazi scientists by the US at the end of the Second World War, many of whom were war criminals who were given clemency because of their knowledge and skills which were deemed useful for the emerging cold war. It's certainly one of the most thought-provoking and troubling books I've read in a while given the moral and ethical questions it raises. More in the review in the next week or so. 1794 and seventeen year old Horatio Hornblower is starting his career in the British Navy. Despite his reserved nature, clumsiness and naivety, Hornblower is bright, has an inner determination and does not want to be seen to be weak. As such, he’s prepared to do his duty and to take calculated risks. Not long after boarding his first ship and sick of being bullied he challenges a shipmate to a duel where only one pistol is loaded. His brave but foolhardy tactic earns him a transfer to a larger war ship. What follows is a series of adventures fighting the French and Spanish at sea and on land as Hornblower comes of age and works his way towards gaining promotion. 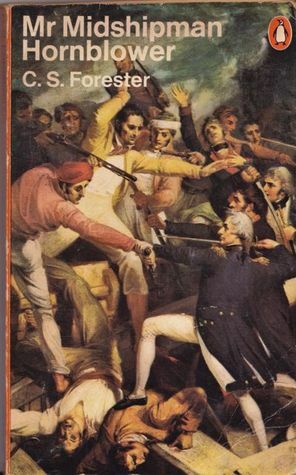 Mr Midshipman Hornblower was the first book chronologically in a series of eleven books charting the career of Horatio Hornblower as he worked his way up the career ladder in the British Navy and tussled with French and Spanish forces. The book is written as a set of interlinked short stories, with each chapter telling the tale of a mini-adventure. 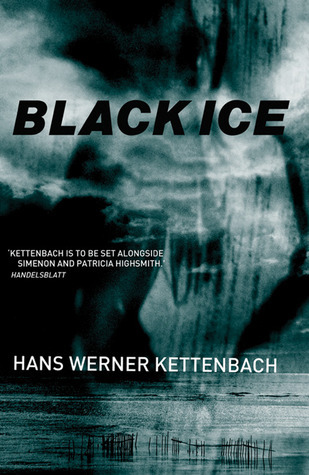 The tactic ensures an even, quick pace, that there is plenty of action, danger points, and critical decisions, and that the tale can span a handful of years. It also ensures that it crosses over into young adult market. Some of the tales are a little weak and underdeveloped, but what makes the book compelling is the character of Hornblower, who matures quickly, learning to take control and act bravely and honourably, but doesn’t lose his insecurities. The result is an enjoyable adventure yarn. I collected several of my ordered books at the local bookshop yesterday. While I was there I also spotted the latest Bernie Gunther installment (#11) and added it to the top of the pile. This time Bernie is in the south of France and working as a concierge in swanky hotel. I imagine Bernie's post-war dose of criminal pursuits is going to be of a very different variety to that being dispensed by English and Russian football fans at present, though characters from those countries may well feature. Carter stepped over the pile of mail into the hall and paused. It struck him that vacant houses always held a strange quality of silence; cold and hollow. Somehow it created a small fear; a sense of dread as to what might be lying in wait. The air in the living room was stale and musty. In the kitchen the sink was full of dirty plates. He climbed the stairs, pausing on the landing. The door to the master bedroom was closed. Apparently she hadn’t been seen for three weeks. He pushed the door open, surprised to find it empty. Though he grew up in a rough part of Manchester and has a shady past as a gang member, Jack Striker has managed to work his way up the police ranks to Detective Inspector. Recently appointed to Greater Manchester’s Major Incident Team his first case seems like a gangland slaying. Despite his doubts, DCI Maria Cunningham wants to forge ahead on a particular line of inquiry. A few hours later another youth is killed. While Cunningham tries to keep the cases separate, and enlists the help of another DI and her boss to try and marginalise Striker, he can see clear links and starts to investigate the cases as if they are related. Soon it is apparent that Striker is right and there is a vigilante killer at work, murdering gang members who preyed on the local community. One of the victims is Striker’s nephew and when Cunningham succeeds in pushing him from the investigation, Striker runs his own unofficial op along with a couple of trustworthy colleagues. However, the ‘Hoodie Hunter’, as the press have dubbed him, is a dangerous foe and it seems that Striker has met his match. 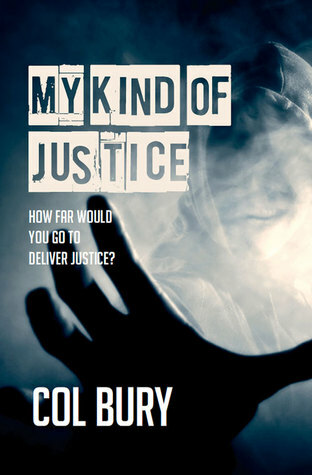 My Kind of Justice is a gritty police procedural set in South Manchester. The strengths of the story are the sense of place, characterisation and plot. Col Bury clearly knows the area well and he paints a vivid social picture of a place blighted by poverty, drugs, and criminal gangs. His central character, DI Jack Striker has managed to climb his way out these ills through a career in the police, though the cost has been his marriage and his relationship to his two kids. He still has family and old friends living locally, however, and they hold secrets he’d like kept hidden as he plays out his version of a redemption man. While he has close colleagues at work, he also has enemies, and Bury does a nice job of portraying work-based rivalries and office banter. The plot centres on the investigation into a spate of murders of local gang members by a vigilante who is steadily picking them off. The vigilante serial killer angle gives the story tension and an inherent pace. It is fair to say, however, that once the tale moves out of the purely procedural format as Striker is removed from the official investigation it drifts towards a thriller and starts to become a little bit telegraphed and reliant on plot devices. Moreover, the telling was a little stilted and overly descriptive at times, though this only marginally detracted from the enjoyment of the story. Overall, a decent start to what I suspect is the first in a series. I almost missed writing and publishing my Saturday drabble, which would have broken a five year run. I was in England with friends and it almost completely slipped my mind. I only remembered as we passed a library, which prompted me to think about writing. I then wrote it quickly on my phone and published it, hence it not being the most inspired story. I did miss my Lazy Sunday Service slot however, hence catching up now. A tall youth in a black hoodie blocked his path. Two others lingered to one side. 'Nah, sorry, don't smoke.' Jack aimed for a gap between the adolescents. 'How about a wallet then?' The youth placed a hand on Jack's chest. The first blow landed from behind, followed by a kick to his legs. Jack tumbled forward. 'Fat fool!' The tall youth threw a couple of punches. Jack landed hard, covered his head and prayed it would soon end. 1950s Dublin. State pathologist, Quirke, has just spent six weeks in an institution drying out. His daughter, Phoebe, has become concerned as to the well-being of her doctor friend, April, who has seemingly disappeared. Phoebe enlists Quirke’s help to discover what has happened to the wayward daughter of a 1916 rising veteran and niece of the Health Minister. 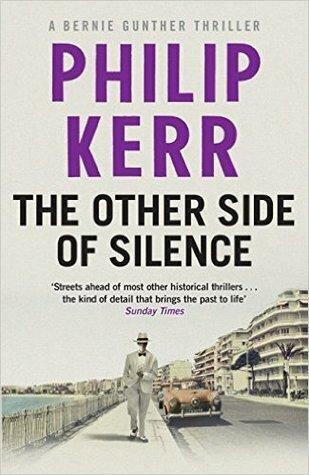 While Phoebe tries to extract secrets from April’s other friends, Quirke calls on help from Inspector Hackett and tackles April’s family, who seem more concerned with possible scandal than the well-being of April. Despite veiled threats to discontinue their investigation, Quirke and Phoebe continue to search for the missing woman, becoming increasingly concerned as to her fate as they slowly discover some of her secrets. Elegy for April is the third instalment of the Quirke series and the best so far, in my view. The story concerns the search, against the family’s wishes, for a female doctor who has disappeared. The strength of the tale is its evocative atmosphere of fog and smoke, family and secrets, and scandal and power, and its focus on the sexual politics of conservative Ireland in the 1950s. 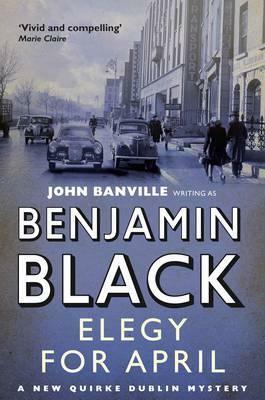 Black evokes a certain mood, sense of place and social relations that draws the reader into a gloomy, drab Dublin. Although a pathologist, Quirke is cast as a kind of disillusioned, drunken, anti-establishment PI who challenges convention and blunders his way towards truth and love, often losing as much as he gains in the process. While the plotting is stronger than the first two outings it still seems to play second fiddle at times to the atmosphere, characterisation and social context, and the denouement felt somewhat contrived and strained. 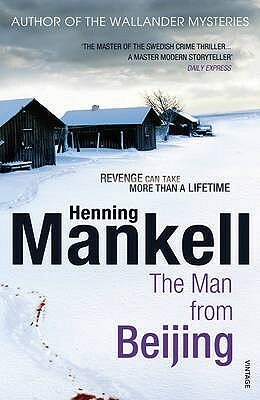 Nonetheless, it’s an enjoyable read and has persuaded me to persist with the series. A busy and interesting month of reading. 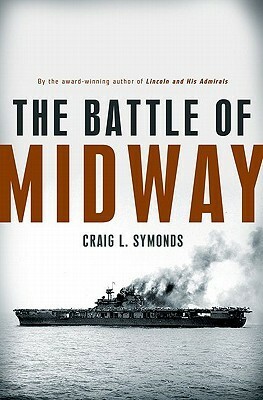 The standout fiction read was The Blood Strand by Chris Ould, but my read of the month was The Battle of Midway by Craig L Symonds, which was an engaging military history.